Congo is seen as a country inhabited by tribals with dense forests. It is a cliché. Congo has many truths about it which have been hidden from the common eye. It is so much more than the jungles and wilderness. Enjoy some fun facts about the larger Democratic Republic Congo mentioned below; they will take you by surprise. Paris is the largest city which has the largest number of French speakers. That is understandable as it is the capital of France. But Kinshasa, Congo? You cannot believe it is second in the list. 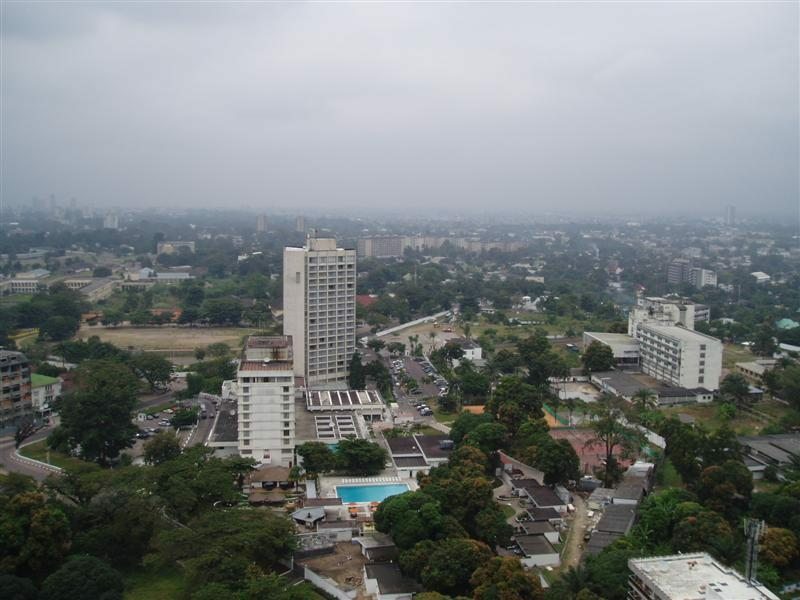 The capital city of Congo has around ten million people who speak French. It is a safe destination, keeping in mind the fighting in the country. Kinshasa even organized the La Francophonie. It is a summit held by all French-speaking countries. So before you jump into conclusion of Congo being about jungles, think again? French is the classiest language in the world. Congo is classy in its way. No matter how strange it may sound, it’s a fact. They eat mayonnaise with almost everything. Congo is rich in the department of “restaurants”. It has got Indian, Lebanese, Belgian, Congolese, and other African cuisines. The mayo is served with everything from fish, meat, pepper, peas. The delicious burn from the pepper is balanced by mayo. You will find affordable restaurants serving you some hot and generous Lebanese meal. Ready your palate for a mayo overkill if you plan on visiting Congo. Many movies have portrayed Ebola as being easy to catch in Congo. There are reasons behind the outbreaks in the 1950s. But the government now has taken steps to curb it. Any first sign of a virus and it is treated as soon as possible. The bushmeat is an important source of the virus. It is widely consumed by rural people in Congo. Campaigns are held to spread awareness among the people. So, when you visit, Congo don’t be afraid to catch Ebola. Stay cautious you will be safe. Yes, we are talking about the retired jet. Concorde was one of the fastest planes in history. It used to land in the jungles of Concorde. In the middle of an African jungle, Dictator Mobutu created a city. It is one of the weirdest city. He did everything in his power to imitate the French style. Even the street signs are copied from Marseille and Paris. The city is located on shores of Oubangui river. Mobutu has created two palaces which heroes the city. But since Mobutu has fled the place is now being buried under the jungle. You can visit the landing ground of Concorde (it’s now an expensive hotel sector). Congo did not have a stable government in recent years. The overthrow of Mobutu led to war in following years. Since 2002 the government is gaining stability. There were only two hotels in country’s capital in those years. But nowadays many hotels have been built across the city. Definitely a place to check out for the adventurous souls. The Grand Hotel is being renovated. Its new face is gorgeous. But with rising number of hotels, the price tags are also increasing. Hotels will cost you ~ $300 for a night. The pricey deals might be due to the type of people checking in the hotels. Government officials, businessmen, shady dealers usually stay at these hotels. For regular tourists, the cost, however, can seem a bit extravagant. Going for a “Primate viewing trips” are cheaper in the Democratic Congo than in neighboring Rwanda or Uganda. Tourists can see wildlife, indigenous cultures, and geological phenomena not found anywhere else in Africa. Tourists can trek to see both mountain and lowland gorillas in wild, meet pygmies still practising their traditional way of life in the forests, spot bonobos and okapi — two rare species not found anywhere else on earth, and climb to the summits of active volcanoes and see a boiling lava lake in the crater of Mount Nyiragongo. In downtown Kinshasa, an ivory market exists where other than the obvious, Congolese art, tribal masks, and other beautiful goods can be procured. Outside of Kinshasa is a bonobo preserve called Lola Ya Bonobo. The DRC has experienced frequent unrest in the eastern part of the country. Tourism, in general, in Congo is uncommon. The good side of this equation is that you will not face crowds and also may get to experience a true view of Africa, not untainted by too much modernization. If you travel, you should hire reputable guides and join a group travel party. If you have African friends who speak the language (local and as well as French), even the better. Above all, please practice common sense rules of staying safe when traveling.